not very comforting, is it? especially when you feel the load is too great. knowing your purpose is important. when i was in college, i was pretty focused on the end goal so i wanted to carry as many subjects as possible every semester. i always had to get special permission because the dean wanted to know that i could carry the load without loosing sight of what was important. he always wanted to make sure that i the load was not piled to high. sometimes we take on too much. we think we are invincible. this adds unnecessary stress. make sure that what you are picking up does not impair your vision. make sure you can still see where you are going. if not, lay something down. if you are in the midst if a stressful time in your life, you need clear focus to get through the task. you can pick up what you laid down later if appropriate. understanding your goal or purpose will also help you not to twist, side step or get off track. you want to keep going forward. twisting or getting side tracked by the load can cause pain. don’t get in too big of a hurry. you want your steps to be stable. secure your footing with each step. you need a strong foundation. review your life goals, values and purpose and stay true to them. there are times when it is just not wisdom to go it alone. friends, family, and others who care about you can help you bear the load. asking for help is not weakness. it takes great courage. addictions, for example, find their power over us when they are kept in the dark. accountability is a great way to release some off it’s power. what is kept in the dark holds a tight grip on us. bring it into the light with someone trusted and get help. two are better than one…if one falls down, the other can lift him up. preventive medicine is always the most effective, but in the case of injury, early detections improves the healing process. don’t wait. when i begin to feel ill, i head to bed. i rest and sleep it off. usually, i am better by the next day. emotional pain is sometimes more difficult but pushing yourself and continuing in an injured state is not the best way to carry your load. we don’t have to end up in a broken state because of the load we carry. 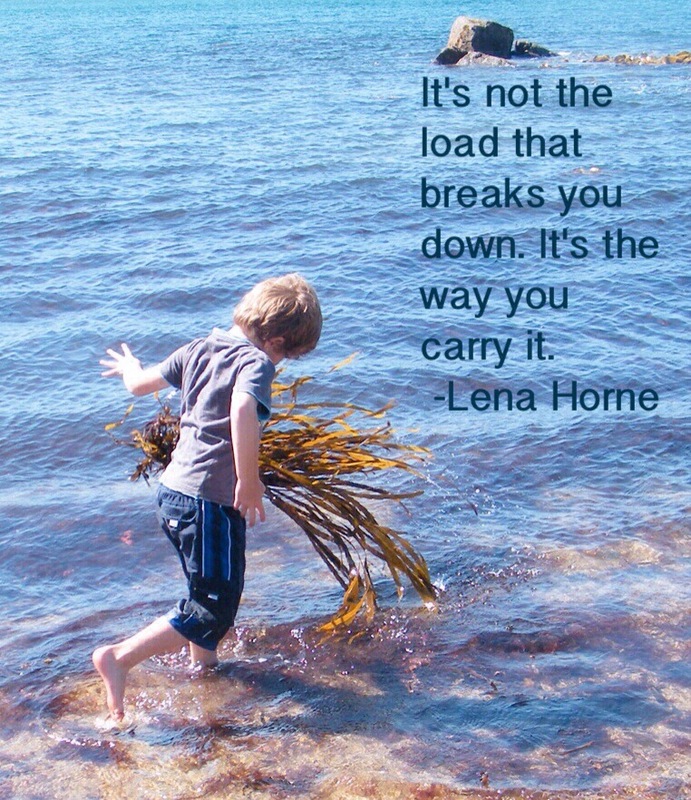 how we carry the load is important. let me encourage you, that if you see a friend who is struggling beneath their load….that you can help them bear their burden.